Collecting Indian artifacts is a popular hobby, particularly among antique lovers with an affinity for both Native American culture and early American history. These artifacts are prized both for their beauty and for the insight they give us into the lifestyles and culture of early Native American people and their culture. There are many different types of Indian artifacts. 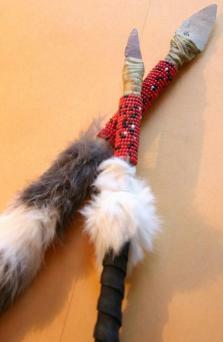 The most sought after collectibles include arrowheads, pottery, and beadwork. As long as 15,000 years ago, Indians made arrowheads from different types of stone, such as flint and obsidian, to use in hunting. Arrowheads can be found all over the world, and many of those who collect arrowheads love searching for them, while others purchase arrowheads for their collections. It is important for arrowhead collectors to be able to recognize and classify them by point type. Details on arrowhead typology classification can be found at the Arrowheads Plus Indian artifact library. Jason Hanna, author of Antique Trader's Indian Arrowhead's Price Guide, has created a virtual gallery of his extensive collection. It can be viewed at ArrowheadWorld. Native American pottery is admired for its utilitarian characteristics as well as the sheer artistry and skill that enabled American Indians to create these vessels with nothing more than clay, water, and their hands. 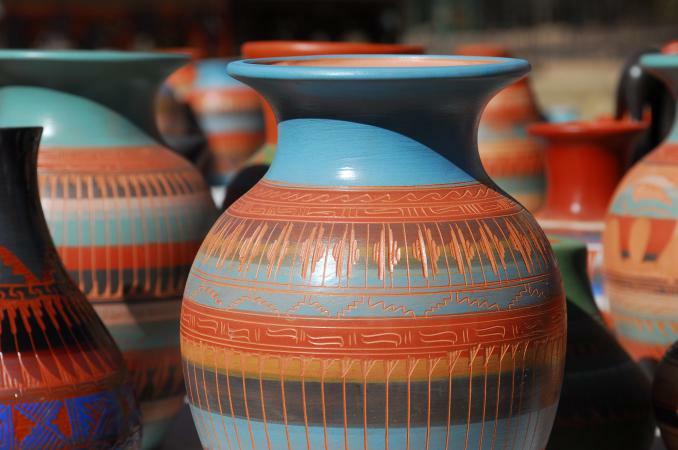 Antique Indian pottery is among the most valuable of collectible items. 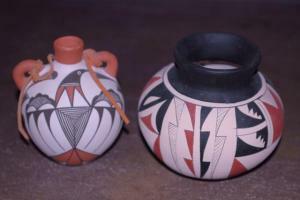 Prehistoric Indian pottery can cost thousands of dollars per piece. Even shards of pottery are valued for their ability to help us learn about ancient Indian culture, although it is intact pieces that really appeal to those building collections for display. You can view additional examples of Indian pottery at the Arizona State Museum's Wall of Pots online exhibit of southwestern Indian pottery. Indian beadwork is popular among Indian artifact collectors. Early Indians used beads to create jewelry as well as to adorn a variety of objects, including clothing, headdresses, artwork, and more. Some of the most sought after and valuable examples were made during the 1880s from small glass "seed" beads that early European settlers brought to the new world and then traded to Native Americans. 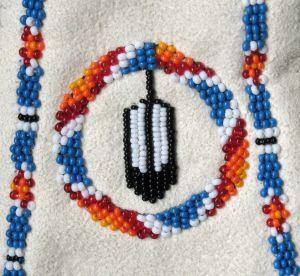 However, the Indians created beadwork long before Europeans came to North America. The earliest examples of Native American beads were carved from readily available organic substances including animal parts (such as bones, horns, and teeth), metals (such as copper and silver), shells, stones (such as coral and turquoise), and even wood. Authentic artifacts made from such materials are rare and very valuable. Some of the most significant examples of Native American artifacts are displayed in museums around the country. Powhatan Renape Nation American Indian Museum on the grounds of the tribe's reservation in Rancocas, NJ. There are a number of excellent books and magazines full of information for those learning more about these treasures. Read Oklahoma Indian Artifacts online. Search Amazon.com and Barnes and Noble for Indian artifact books and collectible price guides. There are many online retailers, collectors' shows, auctions, and other resources for finding Indian artifacts to start or expand your collection. Allard Auctions has been selling Native American artifacts at auction since 1968. Arrowheads.com publishes a master events list for North American Artifact Shows and Events. The Artifact Store specializes in genuine prehistoric Indian artifacts and points. BC Artifacts has an extensive selection of Native American artifacts. eBay's selection of artifacts is updated on a daily basis. Indian Territory carries thousands of artifacts, including an impressive selection of antique Indian art. WinRelic.com is an online store for collectibles, antiques, and Indian relics. Collectors are well advised to keep in mind that there is a big difference between Indian crafts and true artifacts. Indian crafts are being created and marketed via gift shops, online retailers, and other outlets today. While such items can be beautiful and serviceable, they are not antiques. The following organizations offer professional artifact certification services that can help collectors can verify the authenticity of pieces they find or purchase.